- Private Attended Burials at Sea with up to 6 friends and family members, service provided by a family member or chaplain. - Unattended Scatterings at Sea performed by Captain Dave. Both services are conducted with the utmost respect and individualized attention for your loved one. 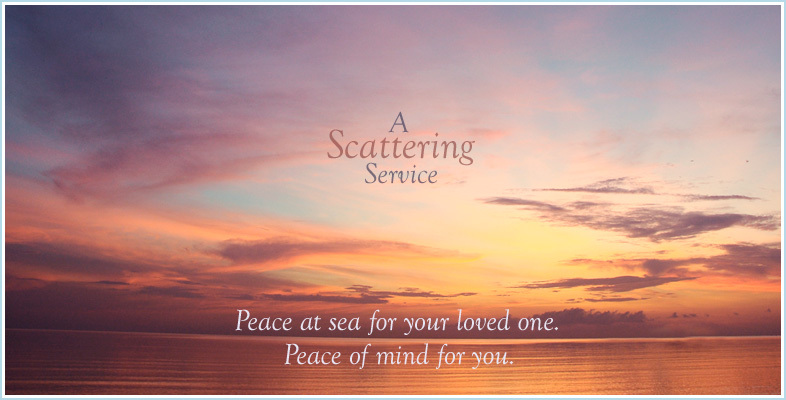 A memorial service at sea for your loved one - a celebration of life out on the crystal blue Gulf of Mexico - is a peaceful and dignified farewell. Let us help plan the perfect service for your loved one. Scattering at sea is a beautiful, eco-friendly and low cost alternative to the traditional land burial.